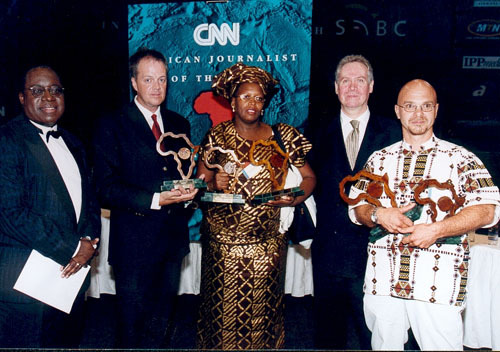 The winners of the fifth CNN African Journalist of the Year Competition were announced at a gala Awards Ceremony held in Johannesburg on Thursday March 23rd. The event is held in partnership with the SABC and sponsored by a number of leading Pan-African companies, including South African Airways and The Westcliff Hotel. The competition received a record 1158 entries from 21 African nations.